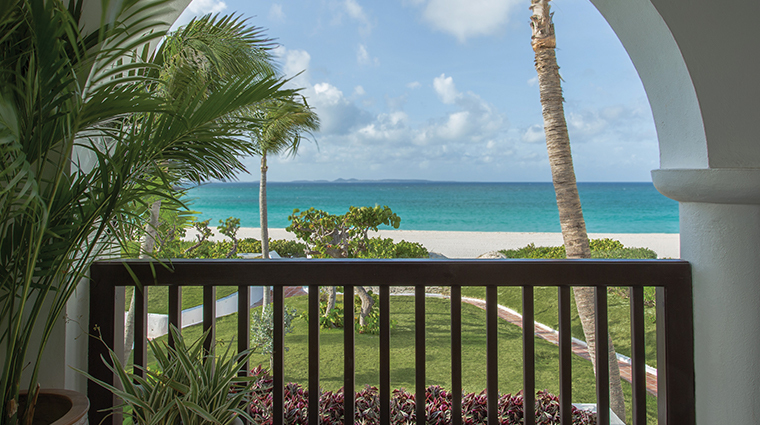 Following hurricanes Maria and Irma in 2017, Anguilla’s Belmond Cap Juluca is reopening with festive flair on December 10, debuting stylish improvements (every room now boasts a private terrace) and luxurious new amenities (beachfront infinity pool, anyone?). Plan ahead to enjoy all this tropical escape has to offer with its Advance Purchase offer: book your three-night getaway 30 days out to get 10 percent off your stay. 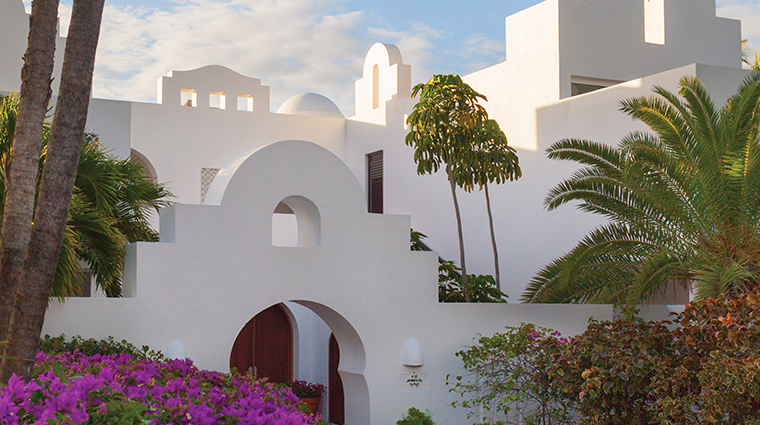 From a distance, the reimagined Belmond Cap Juluca captivates with its brilliantly white, stunning Moorish-Greco architecture set against a beautiful canvas of clear blue skies, pristine white sands and calm aqua seas. Up close, the vibrant tropical gardens, pruned emerald palm trees, hand-designed tiles and warm smiles of longstanding employees reassure you that the enchanting magic of this iconic hotel remains firmly entrenched — this is barefoot luxury at Belmond Cap Juluca. The $121 million renovation under new management has elevated the look and feel of this exclusive resort. Both new and returning visitors are enthralled by the mastery in which many focal points remain the same while modern and upscale additions and features deliver a greater and unparalleled level of luxury. After Hurricane Irma, the mile-long stretch of sparkling sand on Maundays Bay beach has never looked better. Each room and outdoor area is designed to ensure that you get the sophisticated style and exclusivity you need, without sacrificing those legendary views. Renowned Houston-based Rottet Studio masterfully redesigned Belmond Cap Juluca, enhancing the essence of this iconic resort while introducing luxurious additions like the ocean-facing infinity pool and Arawak Spa. This chic, sprawling resort is designed to ensure that you have ample space and privacy indoors and outdoors. With buildings no higher than two floors, beach-facing rooms, large ocean-view terraces and your own private access to the sands, exclusivity is assured. Two plush beach lounge chairs with an extra-large umbrella are allocated to each room, and intercom systems attached to the seats allow you to communicate your every want and need without interrupting your daily ocean views. Beautiful and intricate handmade tiles adorn the floor, walls and ceilings throughout the Anguilla hotel. Designed not only to look good but also to feel good, this bespoke flooring makes walking from the sand into your room a surprisingly luxurious experience. The vista of the ocean from the spa will instantly relax you. Treatments use organic products suitable for sensitive skin and local ingredients like Anguilla salt. Your own personal Belmond host is your primary contact and will take care of your needs and any other pesky details during your stay. To get the most out of your trip, make good use of his or her extensive knowledge of not only the hotel but Anguilla in general. The beach-chic Belmond Cap Juluca closes each September and October but opens for the remaining 10 months of the year. Book in advance to secure a room or suite for the holidays. Stay fit and active during your stay by making use of complimentary tennis, basketball and volleyball courts; ocean-view or beach-front yoga; and non-motorized sports, including kayaking, tubing and paddle boarding. The Events Pavilion is a new and updated ocean-front outdoor space and is great for celebrations, weddings and social events. Getting around is easy. Choose to walk, call the front desk, grab a Belmond bike or use a golf cart. Book a suite or villa and a personal golf cart is assigned to you. Cap Juluca provides wonderful dining options, but its proximity to many other casual and upscale restaurants make trying some of the island’s other culinary delights an easy must-do. Choose from a deluxe or premium room, one- and two-bedroom suites with or without private pools, or a spacious villa. The signature Jonquil Suite is the ultimate in luxury, offering its own infinity pool, an ocean-front Jacuzzi and two bathrooms each with a hot tub. A beachside sanctuary greets you when you enter your room. The neutral palette and handpicked accessories are illuminated by the brilliant hues of the Caribbean Sea, and functional décor like the four-post bed from Restoration Hardware, the queen-sized sofa bed, smart TVs and the Bang & Olufsen sound system make this an upscale home away from home. 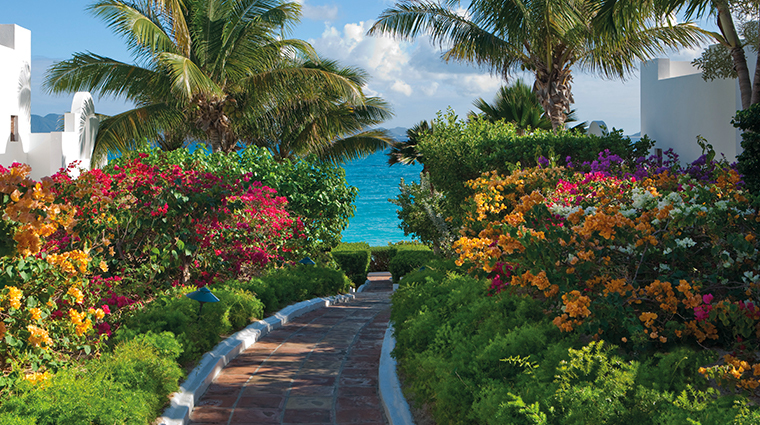 Belmond Cap Juluca boasts 23 stunning villas comprising 108 rooms and suites. Ground-floor accommodations allow for the ease of wandering out your door and onto the dunes and second-floor stays afford magnificent ocean and rooftop views. The large in-room bar is never described as mini. It comes fully stocked by your Belmond host and you can request your favorite goodies by selecting items from a grocery list. Ideal for multi-generational travel, the smart design of the hotel allows multiple options of connecting rooms and suites throughout the property. You could even book an entire villa and allow every single room to have access to the pool. Acclaimed executive chef Andrew Gaskin has brought his culinary artistry to the luxury hotel. The onsite green house is the toque’s playground, from which fresh herbs and vegetables make their way onto your plate and into cocktails at the bar. Situated next to the infinity pool, Maundays Club provides a scenic spot for all-day dining. In the evening, try Peruvian tapas made by chef Cesar Landeo Soto, such as fresh ceviche, clustered shrimp, beef spring rolls and tuna tartare cones. The iconic Pimms has been stylishly redesigned and serves Caribbean and International cuisine with a heavy focus on seafood. Sample lobster bisque and wonderfully seasoned tofu, or let your taste buds be tantalized at the Chef’s Table, where a nine-course dinner menu shows off the team’s talents. Getting its name from Belmond’s Venice hotel, Cip’s by Cipriani has relaxed beach-chic dining all day long. Much of the menu at this dashing restaurant mirrors the offerings at the resort’s Venetian sister property, complemented by an extensive wine list that leans heavily on Italian varietals. Most people fly into St. Martin's Princess Juliana International Airport and take a boat shuttle to Anguilla. The boat ride and immigration process take about 50 minutes.